As I have written many times, I love books and have quite the collection. Of course I have my textile books and, for nighttime reading, mysteries. I recently started collecting old cookbooks as I find the history of food and the culinary arts very interesting. I recently purchased an illustrated history, which is a compilation of very old recipes. Several short recipes are supposedly from Roman times including one for “boiled parrot”. The recipe ends with the suggestion that if you cannot obtain parrot ( I guess the local butcher along the Apian Way didn’t get his weekly order) you could substitute flamingo. While reading through these cookbooks I noticed many recipes had names in common with textile terms. Think “cotton candy”. Here are a few of the many I found. Perhaps you can think of others. 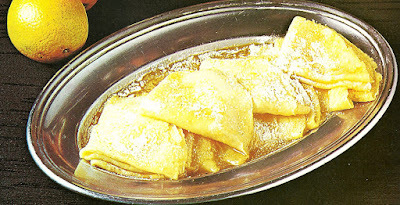 According to Eric Quale (Old Cook Books, An Illustrated Histtory) the recipe was created in Vermont’s Green Mountains and favored by the Revolutionary Green Mountain Boys. It is made from mashed, cooked beetroots and potatoes, mixed with minced, cooked steak, butter, cream, onion and salt and pepper. 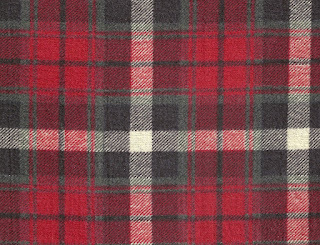 Flannel cloth refers to the weave used, usually a plain weave, not its fiber content. It can be made from cotton, wool and manufactured fibers. 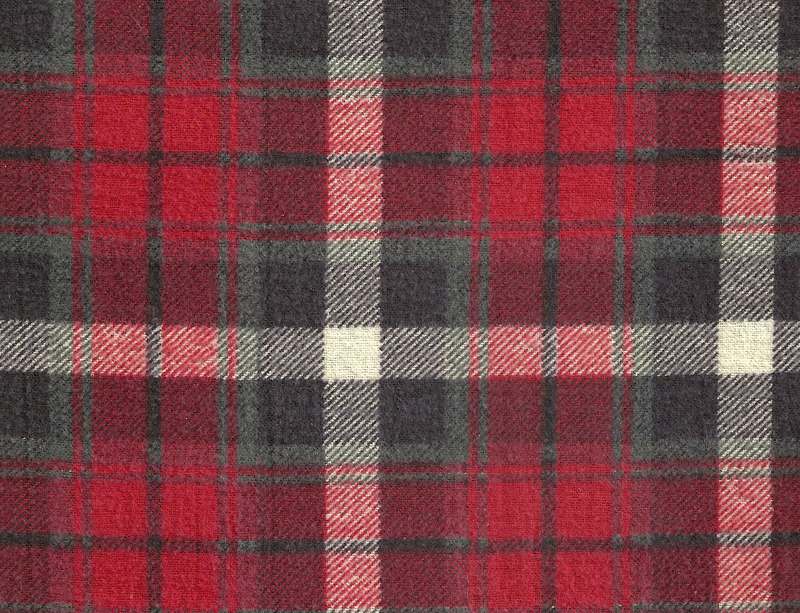 The term “flannel” comes from the Welsh”gwlamen”. Chiffon is a word that can describe either a cake or a pie, light textured and fluffy. A professional baker invented chiffon pie in the 1920’s, and another professional baker invented the chiffon cake in the 1940’s. 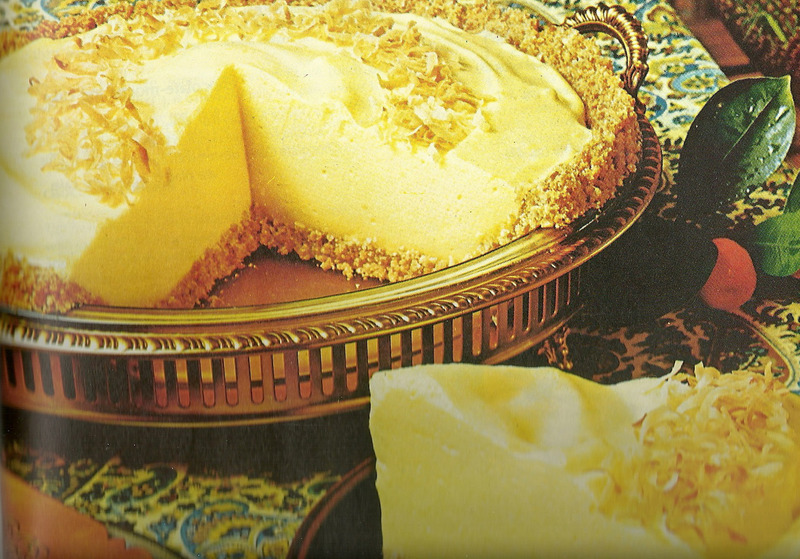 According to Women’s Day Encyclopedia of Cookery, the pie chef’s mother was taken with the dessert named it “chiffon” as it reminded her of a pile of the fluffy fabric. For lemon chiffon pie, one would need a baked pie crust, unflavored gelatin salt, sugar, water, lemon juice and grated lemon peel, eggs and whipped heavy cream. 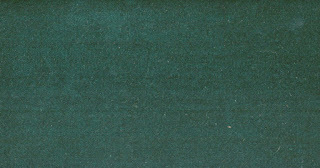 Chiffon fabric, originally made of silk but, today it can be made from manufactured fibers as well as silk and rayon. Highly twisted yarn in plain weave produces a transparent, fine fabric which is durable despite its delicate hand. Chantilly refers to fresh whipped cream with the addition of egg white and flavoring. It is more stable than whipped cream and maintains consistency for 24 hours. 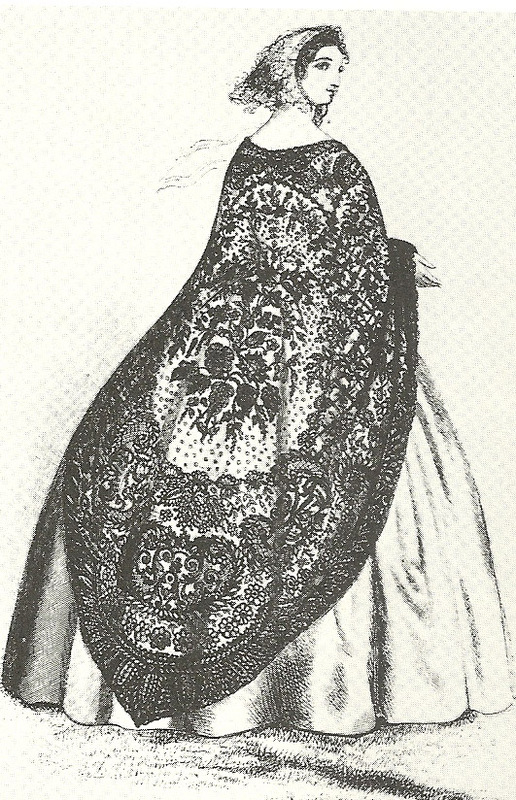 Chantilly lace is a bobbin lace from Chantilly, France and was a favorite of royalty. 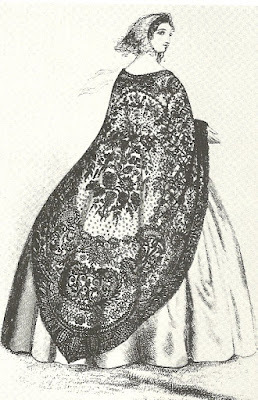 It was originally made of black silk , but also famous for white silk “blonde” Black lace was extremely popular during the ‘mourning period” of Queen Victoria and during the American Civil War..
Crepe is French for a very thin, delicate pancake sweet or savory, plain or stuffed. The recipe calls for eggs, butter, milk, sugar, salt and flour. A crepe is almost always made from white flour (crepe de froment) but can also be made from buckwheat (galette ) Galettes are nearly always served s a main course, not as a dessert. Crepe fabric is woven in plain weave from yarn which has been twisted in extreme degree under tension, giving the fabric a wavy appearance. The fiber may be wool, cotton, silk or manufactured. Anne Byrn, author of The Cake Doctor, searched the origin of this dessert with somewhat mixed results. One source traced the recipe to the Waldorf- Astoria Hotel in NYC in the 1930’s. However, it seems as if the Waldorf chef was only responding to requests of diners, finally asking one of the callers to send him the recipe. Basically, the cake is a chocolate ( or German- chocolate cake) to which a bottle of red food coloring has been added to the batter. The food coloring adds no flavor but a certain dramatic flair. It has been noted that there are versions of this dessert in green and orange! Velvet fabric - Perhaps originating in Italy during the Reanissance, velvet is a plie fabric which can be woven from a wide variety of fibers. There are two methods of construction. One method involves cutting wires inserted in the weft. The wires cut the pile as they are withdrawn. 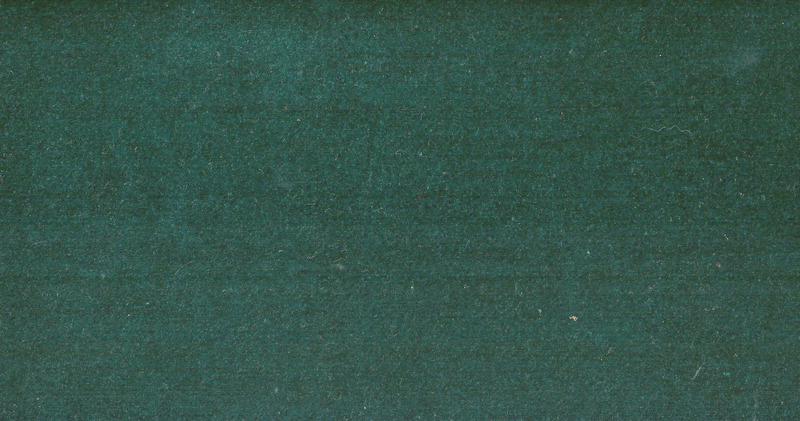 A more common method is the creation of a double cloth with separate pile threads joining the two layers. After weaving, the pile threads. are cut.